For over a decade, our family has shared our love of gourmet foods with others around the world by creating award-winning, handcrafted gift baskets. Every gift basket we sell is backed with a 100% satisfaction guarantee. If your gift basket isn't up to your highest standards, we won’t rest until we make it right. Or your money back. Can’t decide? We’re here to help you find the best gift basket for that unique someone. Just give us a call toll-free: 866-842-1050. Gourmet Gift Baskets is committed to making both you and your special one happy - and making each gift basket a masterpiece. There’s your standard movie theater popcorn, and then there’s our delicious gourmet popcorn. Dad won’t believe his taste buds when he tosses back these perfectly popped kernels. 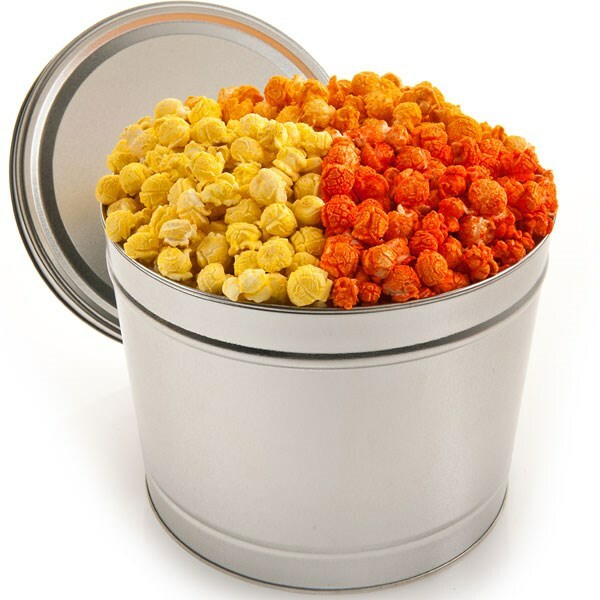 He’ll immediately be hit with the savory flavors that we’ve selected for our Pops' Top Popcorn Picks popcorn tin, which makes a great Father’s Day gift! Bacon lovers will fall in love all over again when they taste our hickory maple bacon popcorn, and the honey mustard and buffalo flavors are just as mouthwatering. These baskets will make you look like a genius and you'll be the hit of the party. With a basket for every occasion you'll never have a hard time finding something appropriate. And the best part of it all is that these baskets are filled with delicious items! We received a Pops' Top Popcorn Picks popcorn tin and it's been a huge hit in my house. The tins average from $19.99 to $49.99. Plain popcorn and butter flavored popcorn is good but it's boring, instead of those more tradition flavors this tin has buffalo, honey mustard and hickory maple bacon! All distinct flavors and all delicious. Sometimes when you have flavored popcorn you can't distinguish the flavor, not a problem here you instantly taste the spice and slightly vinegar punch of the buffalo flavor, the honey mustard tastes just like you dipped the kernel in honey mustard and the hickory maple bacon is something everyone needs in their life. • Sriracha Teriyaki Sauce by Stonewall Kitchen - 11 oz. – A spicy dipping sauce made from sun-ripened chilis and garlic. • Roasted & Salted Peanuts by J&R Gourmet - 2 oz. – Better than any ballpark peanuts you’ve ever tasted, roasted and salted to perfection. • Chichester Snack Mix by Merrimack Valley Snack Company - 2 oz. – A delightful snack mix comprised of crunchy pretzel nuggets, cheddar cheese crackers, and premium nuts. • Spicy Peri Peri & Lemon Veggie Roaster by Urban Accents - 1 oz. – A spicy blend of chili pepper, lemon peel and garlic flavor. • Touch O'Heat BBQ Sauce by Rufus Teague - 16 oz. – All natural and gluten free, this BBQ sauce is what barbeque is supposed to taste like. • Beef & Burger Rub by Urban Accents - 1.5 oz. - Use for grilling or roasting to bring out all the juicy flavors in whatever meat you choose. If they can't get enough of the sweet, savory, tangy, smoky goodness that is all things barbeque, you've just found the perfect gift. This impressive gift basket is comprised of the best grilling products, like authentic fiery sauces and deliciously zesty rubs, supplying them with everything they need to make their favorite food better than ever. And just for the record Rufus Teague BBQ Sauce is some of the best sauce on the planet, we've been fans of Rufus' sauce for years and use it on practically everything. I'm always puttering around in the kitchen and just like to go with the flow and just cook, no directions just a protein and spices and I was in my glory sauces and beef and burger rub. I'm a in no way by the book cook, I just like to wing it and this basket helped me out and made me look like a kitchen rock star. Either as a gift or for personal use this Barbecue Boss gift basket is aptly named, you'll be a boss because of it. Take the headache and frustration out of getting gifts this summer and head on over to Gourmet Gift Baskets. The generous folks at Gourmet Gift Baskets are giving one of Susan's Disney Family readers a chance to win a Barbecue Boss gift set a $69.99 value. Would you like to win? Please visit the Gourmet Gift Baskets sire, take a look around then come back here and tell me what you would love to get from the site. There are also other ways to enter, please enter below. I like the Gourmet Breakfast for Dad - Father's Day Gift Basket. I like the Father's Day Gift Tower. I like the Around the World Beer basket, great gift idea. I like gourmet popcorn, dont really have any places around me to get it. I love the Flowers & Butterflies Gift Tower and would enjoy giving this for a gift. I'd love the Bountiful Harvest - Fruit Gift Basket. Thanks so much. Gourmet popcorn sounds delicious! There is a nice variety! I really like the Father's Day Gift and the Father's Day Backyard BBQ Popcorn Sampler. I like the Flowers and Butterflies gift tower. My dad would love the Around the World Beer Basket. They have great gift ideas.The Belgian Chocolate Dipped Cookie Tower looks yummy! I love the Exam Cram Care Package. I would love to get the Father's Day cookie cake. My dad would love it. I love the idea of the popcorn.. what a great snack. 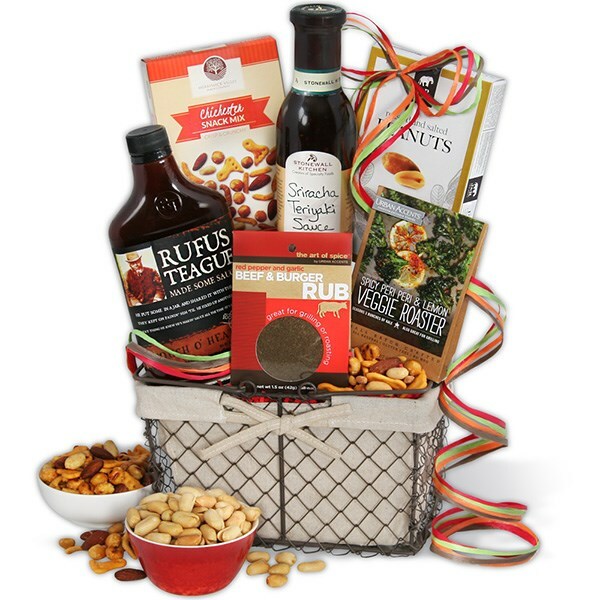 I would like to gift Gourmet Gift Baskets' Classic Red Wine Gift Basket to my in-laws. I like the Gourmet Meat & Cheese Sampler basket. I love their cheesecakes, especially the Turtle cheesecake! it looks delicious! I love the popcorn, yummy, wish someone would send some to me! I love the around the world beer basket!! I like the Neighborhood Favorite Collection - Steak Gifts. I like the snack and chocolate gift basket. I would love to try the Gourmet Cheesecake! I like the Fathers day gift tower! Thanks for the chance. I like the "Belgian Chocolate-Dipped Cookie Tower". Gourmet Cheesecake Gifts for sure! I would love the Chocolate Lover's Cheesecake Sampler. I like the Cakebread Duo Wine Gift Basket-yes, I have lofty tastes! I like the gourmet popcorn. They all look yummy! I like the Happy Birthday Gif Tower set. Baked Goods Deluxe Gift Basket. It doesn't help that I haven't eaten yet, so I am tempted most by that popcorn. I would really love to try the Burger Rub! The Grilling Greatness BBQ gift basket would be perfect for my husband. He would just love that. I like the Coffee Break Gift Basket. Id love to send the Get Well Cookie Cake. ohh i want a fathers day cookie cake! looks so good! Deluxe Beer-B-Q Bucket is the gift basket I like. The caramel corn looks delicious! I like the Italian gift basket. Caramel flavor is my favorite! Gourmet Breakfast for Dad - Father's Day Gift Basket or the Deluxe-Beer B-Q Bucket because he loves to eat and BBQ. I would like to get the Deluxe Beer-B-Q Bucket. I like the Father's Day gift tower for my Dad. I love that they are good and quick. The Baked Goods Premium Gift Basket looks good!!! 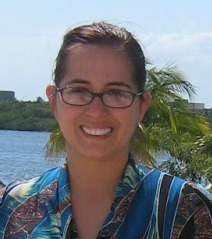 I would love the Tea & Cookies Gift Baskets! Everything looks good. I'm going to vote coffee basket. I'd like the Gourmet Meat & Cheese Sampler basket! The flowers and butterflies gift tower is my favorite! The Gourmet Meat & Cheese Sampler basket. the flower and butterflies gift tower looks great. I like their popcorn gift tins. I love the Gourmet Cheesecake Gifts. I would choose the Wine Party Gift Basket. I would love the Teddy Bear & Chocolates Gift Basket. I like the Italian gift basket looks so great my family would love all their baskets! Thank you for the giveaway. I love the Something Naughty & Something Nice gift box with fruits, nuts, and chocolates. Around the world beer basket! The cookie cakes are great. I like the Baked Goods Deluxe Gift Basket. I like the great variety they have. I think the Smile Cookie Cake looks yummy! Definitely the gourmet popcorn. It's the best! Thanks for this giveaway! I really like the Deluxe Beer-B-Q Bucket!!! I'm really liking the Country Inn - Breakfast Gift Basket. My brothers birthday is coming and he loves breakfast foods. I heart the Chocolate Gift Basket Deluxe; chocolate makes my toes curl. I like the Chocolate Layer Mousse Cake. I like the flower and butterflies gift tower. What I love is the cheesecake sampler. Yumm! The Patriotic Popcorn Tin looks cool. The Bountiful Harvest - Fruit Gift Basket is very nice. I love the wine baskets. The Chianti Wine - Italian Gift Basket looks nice. I love popcorn gift baskets-I could pretty much eat popcorn every day and not get tired of it. I would like the Bakery sampler gift basket. The around the world beer gift basket looks nice! I love how much thought has been put into these baskets. Everything goes great with the other. I think the BBQ Boss Basket would be such a great gift. I love the Roasted and Salted Peanuts by J&R Gourmet because they are so fresh! I like the Barbecue Enthusiast Gift Basket. I also would love the Gourmet Carrot Cake. I just love the idea of giving gourmet food to people. Even the hardest person to shop for, there is something to give. I love the exam cram gift basket, great idea! The President's Choice Cheesecake Sampler. The thing I like most about this giveaway is getting the Chichester Snack Mix by Merrimack Valley Snack Company. I is truly delicious. I like the 4th of July cookie cake! I like the sweets and treats gift basket. I'd definitely go for the Chocolate Gift Basket Deluxe.... who wouldn't?! I like the Gourmet Meat & Cheese Sampler basket the best !! !